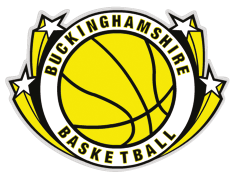 As part of its commitment to developing clear Performance Pathways the Buckinghamshire Basketball Association is launching the County Performance Centre (CPC) designed to raise skill levels within the sport of basketball among young people aged between 10-12 years old within Buckinghamshire. The programme will be holding separate invitational trials for boys and girls each year. There will be approximately 20 places in each squad and membership selections will be made on the basis of talent/potential/height/commitment and attitude. Membership of the CPC should be viewed as a 7 month commitment to individual skill development, running from October until April in preparation for County and EBL (English Basketball League) squad selections. We recognise that players have widely different backgrounds in the game, and we are expecting some to be beginners with athletic potential. To provide quality coaching for 10 – 12 year-olds with the emphasis on teaching and reinforcing the individual fundamental skills necessary to develop better basketball players. To provide the opportunity for young people with exceptional talent/potential/height to be added to County and EBL squads. Represent the South Region in the U14 Inter-Region Tournament, leading to the England Basketball Player Performance Pathway. NOTE: The CPC is not designed or expected to produce a team. Preparing or teaching a team to compete is often at the expense of the athletes individual development needs. However, players may be invited from the CPC to attend trials for County or EBL teams.